​In 2005, the Australian Securities and Investments Commission conducted its first audit firm inspections on the Big Four accounting firms and declared itself satisfied. Coming in the context of the end of self regulation by the profession, the first ASIC inspection found the documented policies of the firms were "generally adequate" and that none had breached the Corporations Act. ASIC continued to inspect and review the work of Australian audit firms every 18 months, finding few concerns with the quality of work reviewed. In 2012, however, the regulator inspected again and had an entirely different view. Greg Medcraft, who was ASIC chairman at the time, raised quality concerns and expressed "disappointment with the results and noted that they represented a further decline in auditing standards". Quite a lot had happened in the years between 2005 and 2012. The world was hit with the global financial crisis (GFC) and Australia witnessed the high-profile corporate failures of property group Centro, and finance houses Banksia and Trio. In each of these cases, auditors took much of the blame, resulting in suspensions and bans. 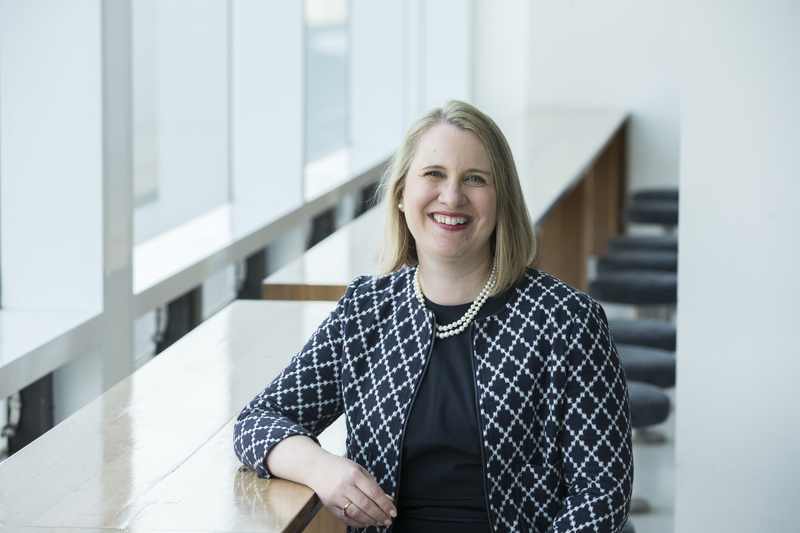 Elizabeth Carson, an associate dean and professor in the school of accounting at UNSW Business School, describes it as a time when the audit profession was "put on notice" from the regulator. "It was clear in 2012 that ASIC was very concerned about the work undertaken by audit firms," says Carson. "There was public pressure directed at ASIC to ensure that those who could have detected these corporate failures were brought to account. There were concerns that the auditors weren't getting the job done right, with the result that questions were being raised about the value of the audit." Carson, with colleagues Neil Fargher and Yuyu Zhang, examined the reporting behaviour of Australian auditors, noting that the trend in issuing going concern opinions (GCOs) had not declined after the GFC as it had in other countries. They looked specifically at the issuing of GCOs, where auditors state their doubts about a company's ability to be solvent in 12 months' time, and sought to understand which factors influenced the likelihood of any auditor issuing a GCO, including whether these increases could be attributed to pressure from ASIC's inspections. "Prior to the release of the inspection findings in 2012, the profession thought that everything was fine, and that everyone was on the same page and happy with the standard of auditing," Carson says. "But suddenly ASIC changed its view completely and there was a feeling that it was seeking to blame auditors for everything that had gone wrong." Carson's team looked at three research periods: the years before the GFC between 2005 to 2007, the years of the crisis from 2008 to 2011, and the aftermath from 2012 to 2014. Examining the financial and audit reports of 8776 Australian listed companies, which were identified as 'financially stressed' for reporting negative income or cash flow, they found that the probability of an auditor issuing a GCO increased in the aftermath period of 2012 to 2014, and that this could not simply be explained by changes in client risk. While the economic slowdown in China had some impact on the GCOs issued to resources companies, for example, the pattern across the wider market was for an across the board increase. In 2005, before the GFC, around 20% of financially stressed companies received warnings from their auditors regarding their ability to continue operating for the next 12 months. At the height of the crisis in 2009, this had risen to around 30%, but unexpectedly by 2014 – nearly five years after the crisis – it had climbed to almost 50%. The researchers then considered the concept of inspection risk, which measures the likelihood that regulators inspect the activities of an auditor, and came to the view that the increased conservatism in auditor reporting could be at least partly attributed to the increased scrutiny from ASIC. ASIC's Auditor Inspection Program inspected zero client files in 2005, 101 at the height of the GFC and 111 in 2015. "You would expect more financial stress during the GFC, because companies had trouble obtaining finance and there was uncertainty in global markets," says Carson. "So you would expect an increase in the number of times auditors would say 'well this company may not be able to survive the next 12 months'. "But what you would also expect is that after the GFC the rate of GCOs would go down, but what is unusual is that it went up despite client risk and the financial climate improving, and this is the anomaly we were trying to understand." Just because auditors were issuing more GCOs, however, does not necessarily mean the standard of auditing had improved. When an auditor issues a GCO to a financially stressed company they can either be correct and the company can fail within 12 months, or the firm can continue to operate, in which case it can be argued that the auditor's assessment was not correct. Of course it is good news for the individual company when the auditor's assessment of going concern issues does not come to fruition. But for users of financial statements, the value of the warning is lessened if auditors are always handing out GCOs. Looking at it from the perspective of failed companies, 3.4% of the companies issued with GCOs in 2005 subsequently failed, but this fell to 2.2% in 2014 despite a 430% increase in the total number of GCOs issued. Comparing the period from the height of the crisis in 2009 with 2014, the number of GCOs increased by 43.5%, but in numerical terms the number of failed companies in the sample only increased from 10 to 11. "What we found is that auditors are responding to pressure exerted by regulators and are choosing the more conservative reporting option which is to provide a GCO, even if not strongly warranted," says Carson. "While this might help auditors escape the wrath of the regulator, it could have the consequence that the information obtained by users from reading the audit opinion is diminished which will ultimately impact on the value of the audit in the long run." At accountancy body CPA Australia, policy adviser Claire Grayston says auditors are in a "damned if you do, damned if you don't" dilemma on the number of GCOs they issue. Carson notes that in all of this, there is a question of balance and in her view the pendulum has now swung too far in the GCO direction. "Unintentionally, I think that ASIC has put the audit profession in the spotlight and could do more to highlight the role of directors and managers in ensuring that financial reports are of high quality," she says. "Auditors are inherently conservative, and now they are even more conservative. "But extreme conservatism has a downside, and that is that if the pendulum swings too far in this direction then financial statements become less valuable to those people who need to use them." Audit reporting has changed since 2015 with the introduction of new standards known as Key Audit Matters (KAM), where auditors report on particular issues beyond going concern – such as revenue, asset valuation and impairment, and related party transactions. "The KAMs are giving the audit committee items to focus on and flesh out and that can only be helpful, but the reality is that it has taken some time for users to understand there is new material in the report because many of them typically don't look very hard," says Grayston. And she says a key measure of audit quality is unlikely to become public. This is the difference between a company's financial statements between the version first presented to the auditor, and the version the auditor ultimately signs off on. "The extent of changes that the auditor has worked with the client to achieve would be a good measure of success, because it would easily show the value the auditor adds," she says. "But that is difficult to measure because that is private information, and is likely to remain so, which brings us back to an imperfect world for understanding the auditors' success."